The design of the flow rate transmitters in the series EVS 3100-H and EVS 3110-H with HSI sensor recognition are especially for use in conjunction with HYDAC measuring instruments HMG 500, HMG 510, HMG 3000, HMG 3010 and CMU 1000. For data transmission, the EVS 31×0-H has an HSI interface (HYDAC Sensor Interface). The recognition of the HSI sensors is automatic via the HSI interface. Indeed, the above-mentioned HYDAC measuring instruments take all the necessary basic settings from each instrument. 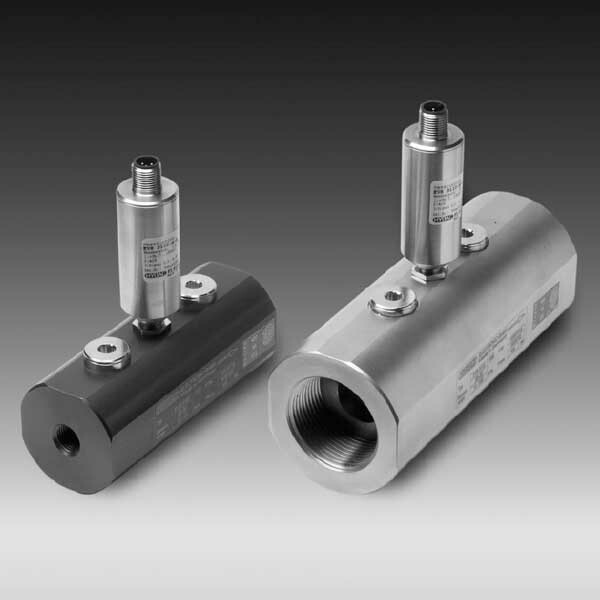 As with all flow rate transmitters in the series EVS 3100 and EVS 3110, the EVS 31×0-H also operates according to the turbine principle. Indeed, the speed of an impeller turning in the fluid flow is measured and converted into an electronic signal.